In 1980, the Riederhof was opened by Helga and Hans Pircher. Since then, they run the hotel with passion and commitment. 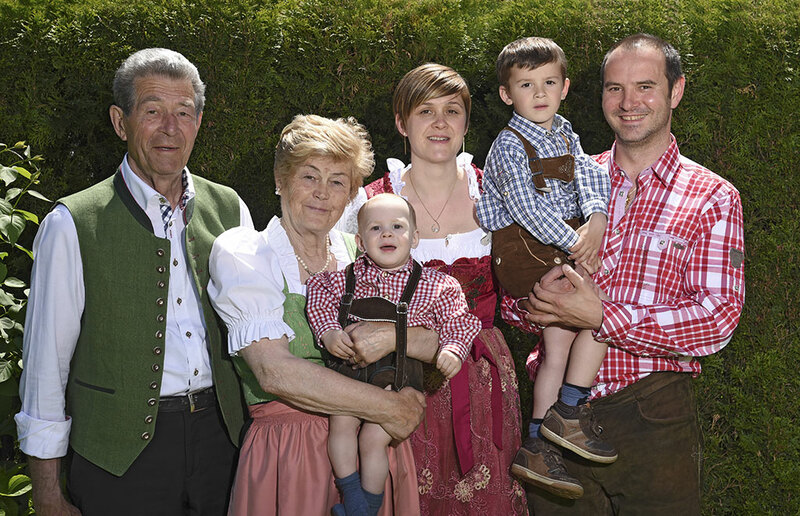 As a traditional family-run enterprise it came as a natural conclusion that their daughter Steffi is always at hand. During her student years, Steffi was always helping in the business. 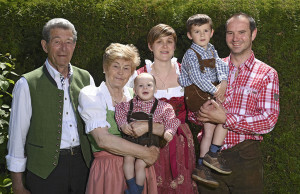 In autumn 2007, Steffi Pircher married Lukas Fahrner in the church in Saltaus. Since then, Lukas also works at the Riederhof. His area of responsibility is taken care of all web and internet business. He also acts as caretaker and accompanies the proprietor on his weekly hiking trips with their guests. In 2011, Anton was born. His role in the family business is to enchant our guests with his lovely smiles. As a family enterprise with tradition, it is important to us that our guests enjoy their holiday to the full. We look forward to your visit.